Defensive Driving is giving you another chance to win this month! All you have to do is visit our Facebook page, click “like,” visit the “giveaway” tab, and enter your email address there so that we can notify you if you win. You will also see details on how to increase your chances of winning. You do things such as follow us on Google+, Twitter, or send out a Tweet, earning a total of five points, and five entries into the draw. The contest ends on Halloween (31st October), after which a winner will be randomly selected. The prize will be a Sony smart Blu-Ray player worth over $100. It has built-in wi-fi capabilities, which means that you can stream Netflix, Hulu and other services easily on your television, and it consistently pulls in four and five-star ratings from users. To complete the prize package, we are also giving the winner an Alfred Hitchcock Blu-Ray box set for Halloween. The set includes Hitchcock’s most famous classic thrillers: Rear Window, Vertigo, North by Northwest, Psycho, and The Birds, along with a ton of DVD extras including production notes and original trailers and photographs. 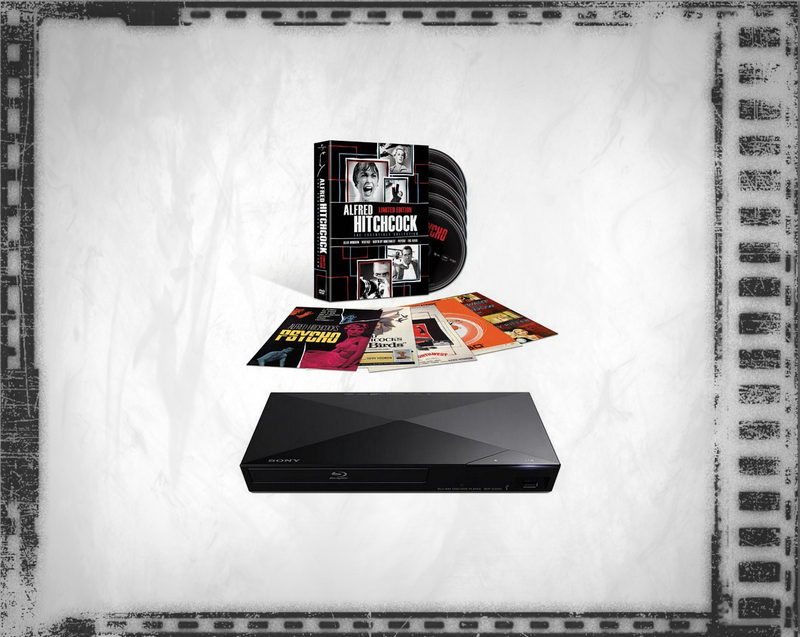 This box set would usually cost you around $50, but Defensive Driving is sending it to the winner, with this Blu-Ray player, for free.